Light pollution has serious environmental consequences for humans, wildlife and climate. It is defined as brightening of the night sky or the alteration of natural light levels in the outdoor environment caused by street lights and other man-made sources of light. Researchers from Italy, Germany, the US and Israel have created a new atlas, documenting the degree to which the world is illuminated by artificial sky glow, causing light pollution. A team, led by Fabio Falchi from the Italian Light Pollution Science and Technology Institute (ISTIL), documented the world on the basis of luminance in various regions and found a world that is in many places awash with light. Lead author Falchi explains, “We stand on the cusp of a worldwide transition to LED technology. Unless careful consideration is given to LED colour and lighting levels, this transition could unfortunately lead to a 2-3 fold increase in skyglow on clear nights." Only few regions in Western Europe, including areas in Scotland, Sweden, Norway and parts of Spain and Austria have relatively unpolluted sky. City lights are creating fogs of light pollution as the entire population lives under a sky so bright that the eye cannot fully dark-adapt to night vision. That’s precisely why one-third of the world cannot see the Milky Way. Why is the new atlas important? This is an improved version of a similar atlas that came into existence in 2011. This was possible because of a new satellite and the recent development of inexpensive sky radiance meters. City lighting information for the atlas came from NASA’s Suomi NPP satellite designed to make accurate observations of urban lights from space. The atlas was calibrated using data from Sky Quality Meters at 20,865 individual locations around the world. The participation of citizen scientists in collecting the calibration data was critical. "Citizen Scientists provided about 20 per cent of the total data used for the calibration, and without them we would not have had calibration data from countries outside of Europe and North America," said Christopher Kyba, a study co-author and researcher at the GFZ German Research Centre for Geosciences. According to the study, although there are a few patches of dark sky still left in the world, 83 per cent of the world's population and over 99 per cent of the US and European populations live under the bright glow of light pollution. Singapore has been declared the most light-polluted country in the world. 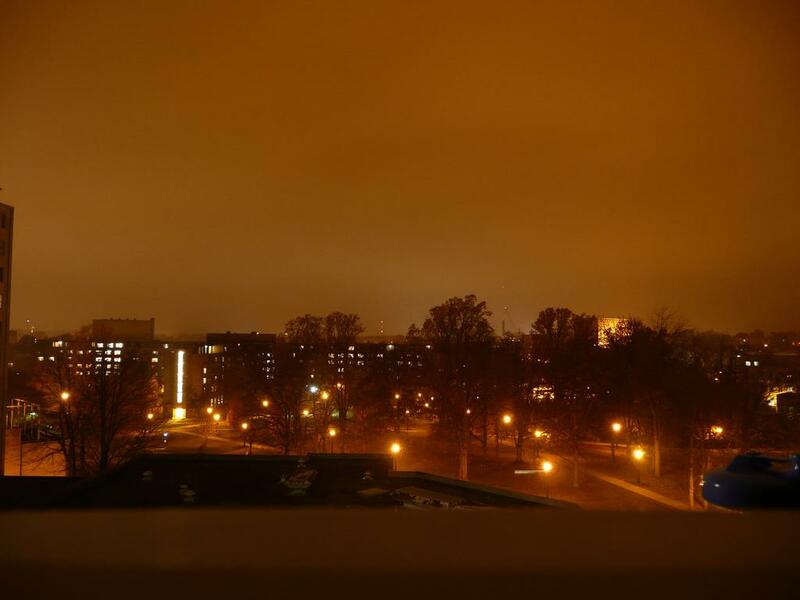 Light pollution can be controlled by several effective practices such as the use of shielding on light fixture to prevent direct upward light, particularly at low angles above the horizon. The pollution can be arrested by not using higher lighting levels than strictly needed for the task and limiting illumination to the area where it is needed and the time of usage. When asked about the plans for the future and how this study will be taken further, Falchi commented, “We have several ideas, but at ISTIL we are working for free in our free time. So, research cannot be fast. If some generous magnate will find our research field worth of funding, we may expand and work full time on this.” As a next step, his team would like to study the variation of light pollution with time and create maps of the whole night sky hemisphere for each site.